Only 5 days after the 2016 election, the senatorial bet and former Cabinet secretary already talks about his entrepreneurial plans. “I’m okay, I jumped in with my eyes open. 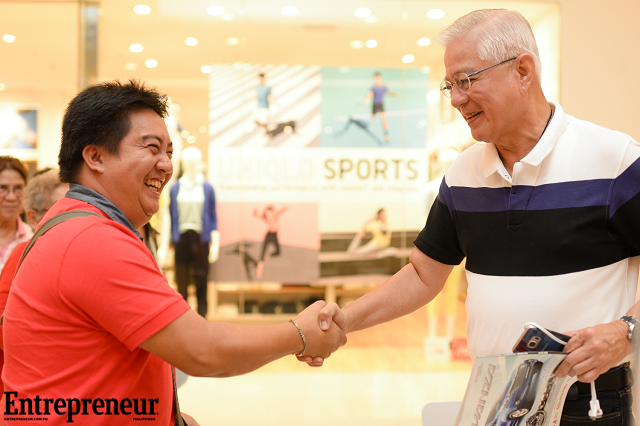 I knew exactly what was I getting into,” said Rafael “Raffy” Alunan III on Saturday, May 14, as he sat down with Entrepeneur.com.ph for an interview. His response pertains to the fact that it was only 5 days since the May 9, 2016 election, which, as of this writing, he is at no. 26 in the senatorial race with 1,945,519 votes based on partial and unofficial results (via the Commission on Elections-GMA 7 mirror server). The campaign season proved indeed to be a challenge, as the former Cabinet official (Tourism secretary under President Corazon C. Aquino and Interior and Local Government chief under President Fidel V. Ramos) decided to run as a senator 20 years since his last government post. “Limited resources translated to limited media projection, that translated to limited awareness. That reflected in the surveys. Even after (Davao City) Mayor, now presumptive president, (Rodrigo) Digong Duterte asked me to be part of his Senate slate in January, resources remained thin,” he wrote on May 9 in his Facebook page. “It’s still the same. Filipino voters are still personality-oriented. They’re not issue- or cause-oriented. They’re emotional thinkers. It’s an oxymoron, right? 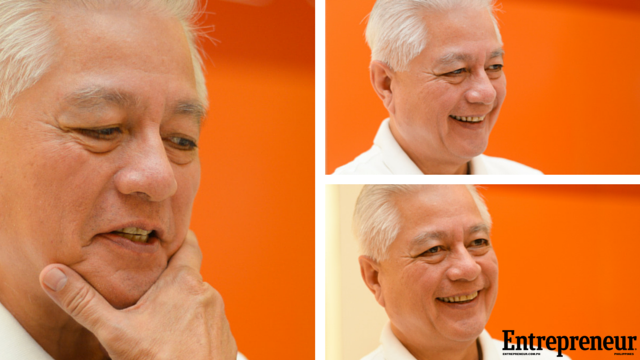 They’re very comfortable with their contradictions,” said Alunan about the 2016 election. And so 5 days after the election, his focus shifts to entrepreneurship. Rather, his focus shifts back to entrepreneurship. Apart from his Cabinet posts, Alunan, also holds the colonel rank and in the Armed Forces. He also had a stellar corporate career, among them as president of Maynilad Water Services Inc. from 1999-2004 and president of First Philippine Infrastructure Development Corporation from 1999-2007 (when it was sold to the group of Manuel “Manny” V. Pangilinan). Currently, he is an independent director of Pepsi-Cola Products Philippines, Inc. But in 1988, he, along with investors from Taiwan, set up a distribution company called Gerico, distributing Aquaprime shrimp feed in the Western Visayas market (where bulk of the shrimp production was concentrated). “[But] I had to bail out. I was imported by the Aquino administration. I came in the third Cabinet wave,” he recalled. So, more than two decades after, in 2015, he jumped into entrepreneurship again, and started a project to build houses, a realty joint venture of his family with Fil-Estate. The latter completed the subdivision in Bacolod, Negros Occidental, but failed to market it since it went bankrupt. “That’s where we are with my son. We’re building four houses at the moment. We’re almost done with two. We’re halfway with the other two. As soon as we sell all of those, we’ll start with our next set of houses,” he summarized. Alunan said the real estate market in Bacolod is booming and to take advantage of such and make them more efficient, they outsourced most of the tasks such as the architecture, contractor, costs (done by SGV), interior design, and marketing. “There’s a good chance for me know to not only recover the full cost, but to earn the target profit margin,” he said, despite delays or mistakes they have encountered, like changes in the contract or missed details. “The key is to select the people who would do the job,” he said. But for another parcel of land he partly owns, Alunan Realty Company Inc got Robinsons Land as a partner to build and sell on their behalf. The ease of doing business in the province though still needs to be improved, he said. “I like the city government to cut down on red tape. It’s a turn off to investors, especially foreign investors. That’s indirect economic sabotage,” he pointed out. 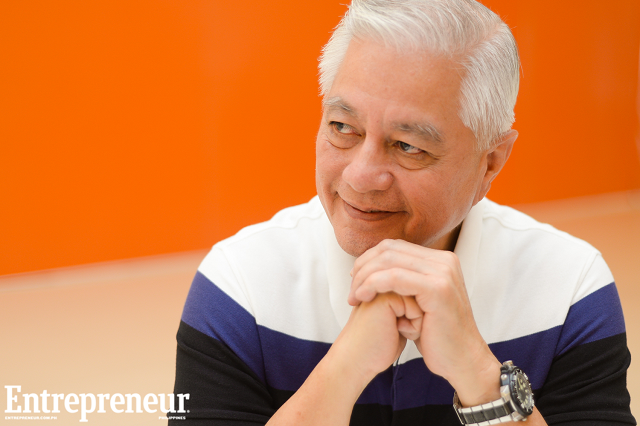 Describing himself as being new in the business, Alunan said, “You have to build your foundation, and you’re on your own. (But) considering the land’s mine, it’s not that hard,” said Alunan (who will turn 68 soon). He added there is no difference between his corporate experience and his startup journey. “I used to make my own decisions as CEO. It’s just then I was dealing with the billions. Now I’m dealing with millions. It’s just the spelling—from ‘b’ to ‘m,’” he laughed. 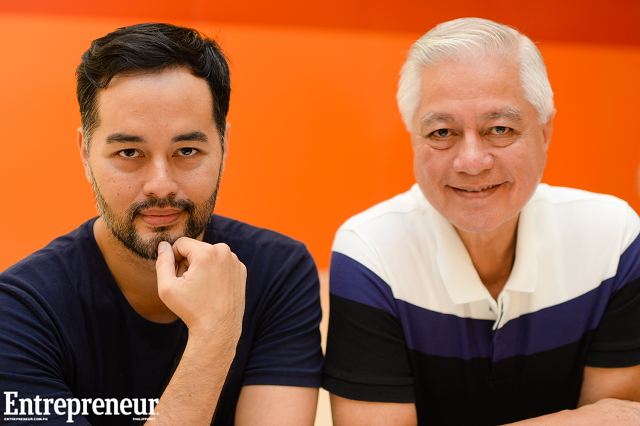 Alunan is “sharing the (startup) labor” with his only son, Rafa, who works full-time at Appier Inc (a company funded by Sequoia Capital and which specializes in cross screen digital marketing powered by artificial intelligence). Alunan said his son has to learn the ropes, “but I can’t press him too much because he’s gainfully employed. Only if he has free time that he gets his feet wet. We share the labor. We know our game plan,” he said. He added they are taking their entrepreneurial journey slowly but surely. “Sometimes, I allow him to make mistakes, as long as they’re not fatal. I call them rookie mistakes,” he said. Citing the same challenges his father said they encountered in running their startup so far, the son said, “(But) nothing that hard work can fix, nothing that time can fix. And my love for the project far exceeds the burden,” Rafa said. Alunan interjected, “he (Rafa) is more entrepreneurial than me.” The son replied, “But it has changed. I’m more risk-averse now. I was more bullish when I was younger. I have three kids now and that changed everything.” Rafa is married to bag designer and School of Fashion and the Arts co-founder Amina Aranaz Alunan. He added that he would also like to work with his province-mate Tony Meloto, the founder of Gawad Kalinga, a poverty-alleviation movement. “I discussed it with him. I’m thinking of using my 14-hectare land as a demonstration farm for social entrepreneurship. Maybe a specific item in that integrated system could be a joint venture with other social entrepreneurs,” he shared. “All of these are related in my legislative agenda (to reduced poverty and provide human security) had I’ve been elected (as senator),” he added. Although there is a 1-year ban prohibiting the candidates to seek or be appointed to a government position, still, Alunan’s name is floating as one of those that business groups wish to be part of Duterte’s cabinet. “One year is short but it’s also enough time for things to change—the political dynamics, the personal circumstances. I’d rather give Digong (Duterte) the free hand (to choose his Cabinet members),” he said.